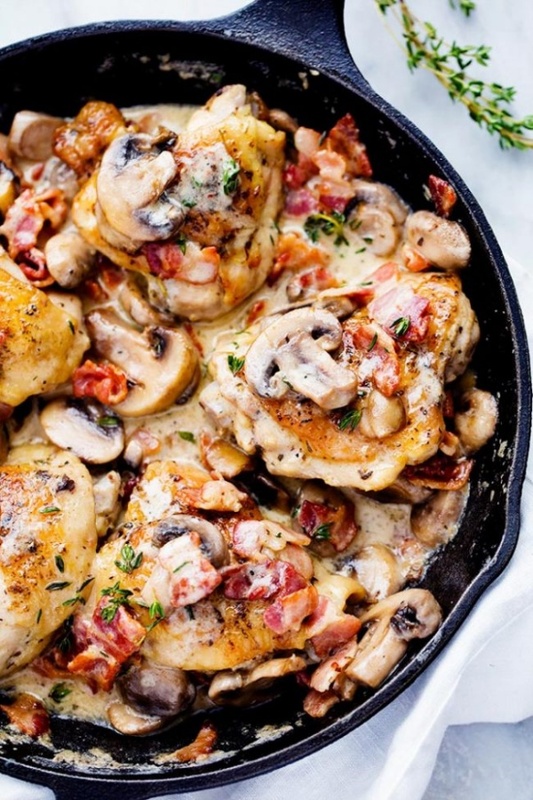 Creamy Bacon Mushroom Thyme Chicken By Alyssa Rivers from The Recipe Critic - Creamy Bacon Mushroom Thyme Chicken is honestly one of the best skillet meals you will ever make! Tender chicken with a creamy sauce with bacon, mushroom, and thyme. The flavor is out of this world!